As of at 15pm on May 8, inter-ministries of trade & industry and finance announced the domestic retail price of petrol and oil increased cross over the country. As per announcement, the prices of E5 RON 92 increased by VND 508 per litter to reach VND 19,440 per litter; RON 95-III rose VND 411 per litter to VND 20,911 per litter; Diesel 0.05S up VND 373 per litter to VND 15,917 per litter; Mazut up VND 399 per kg to VND 13,759 per kg, respectively. 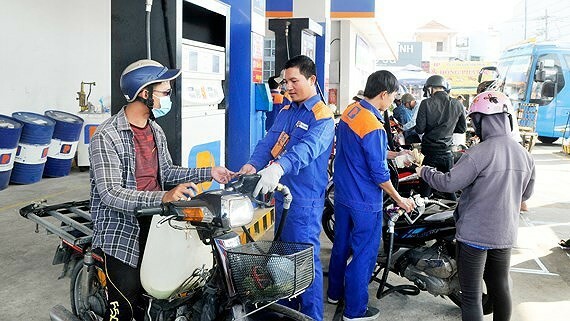 According to inter-ministries’ requirement, the use of the stabilization fund for petrol was remained unchanged including E5 RON 92 was VND 958 per litter and RON 95 remained around VND 451 per litter, while Diesel was VND 200 per liter.